Our Shamanic Bodywork is offered as a combination of deep tissue massage and spiritual healing. 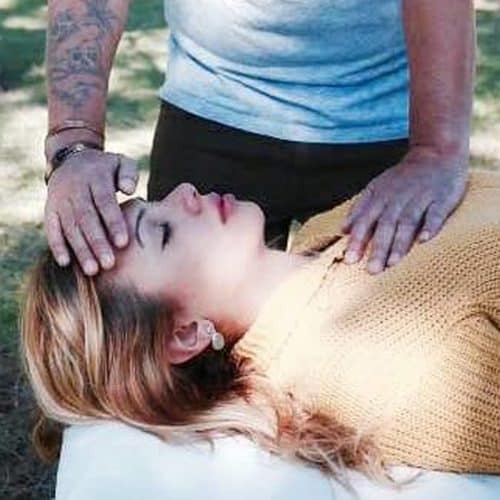 During a shamanic bodywork session, the practitioner is acting as a conduit in order to receive information from the spirit realm, so they can provide healing towards what the person is experiencing both physically and emotionally. The blocks or resistances held within the person’s physical body will then be addressed by exploring any past traumas or emotional holding patterns. As part of these sessions, the practitioner may perform ‘Cord Cutting’ which is a healing method used to release any negative attachments which the individual may be carrying. In order for this approach to provide healing, it is recommended that the person be open to the process of understanding the spiritual relationship to their issues and have the willingness to embrace change.